Our Foundations classes offer a sensory-rich yet caring and gentle environment where infants and young toddlers can explore and react to new sounds, sensations, objects, and movements. Make baby’s first class musical! 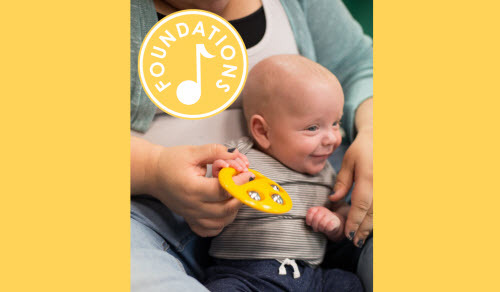 Shared activities for babies and their caregivers provide the opportunity to strengthen your connection with your child through joyful music-making experiences.